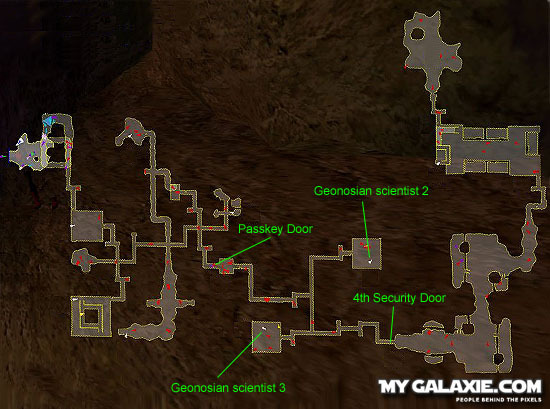 The Geonosian Bio Lab is a high end player dungeon you shouldn't attempt it without help from some friends. 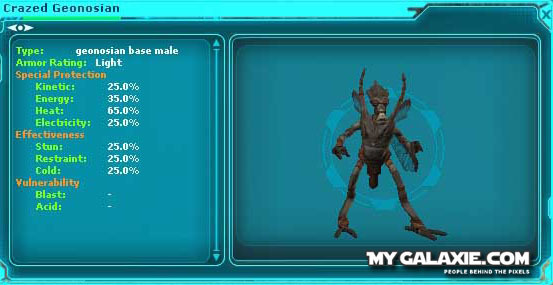 The Geonosians drop many different loots of varying qualities. 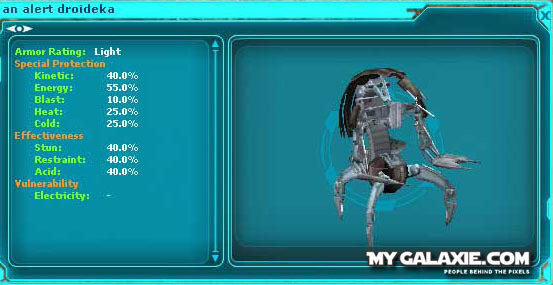 Sword Cores for melee weapons, 2 Different types of Core Schematics for Weapon smiths, several different relics, Geonosian Sonic Pistols of varying quality (highest Max damage I saw was 203, stun damage 3.5 speed), Geonosian Solidifying agent (weapon enhancement), and most importantly Geonosian Power Cubes (which are required components for the Geonosian Tenlos DXR-6 rifle) The cubes come in several different colors, white, yellow, and green. White being the most common and yellow being the rarest. It is easy to get caught up in the entry way as the respawn is fast and furious and seemingly increases as more players are present. 1. 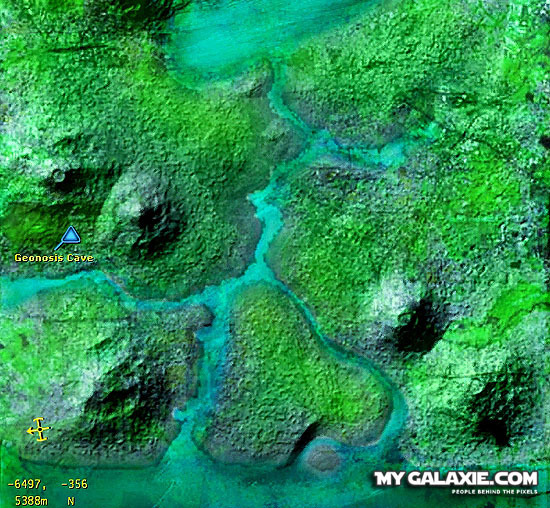 Head to the planet Yavin IV choose the Labour Outpost located in the lower left corner. 2. Once you arrive head north to the Geonosian Cave located at -6494, -418 you will see the big cave but be careful because there might be some creatures out side that might have chases people outside. 4. 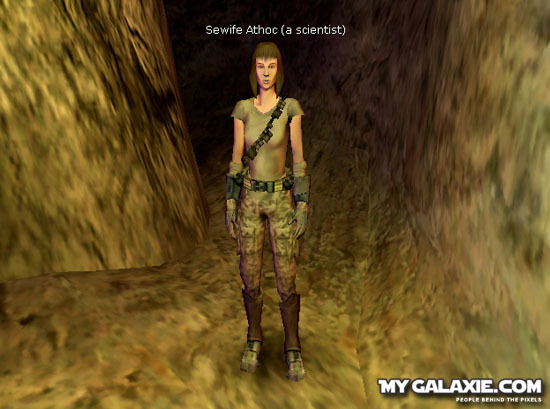 Talk to Ebotia Dived, she is standing in the main cave entrance and tells you the first key code you will need to open the first security door of the dungeon. 6. This is the location of the first security door. A small Data pad terminal is located here. 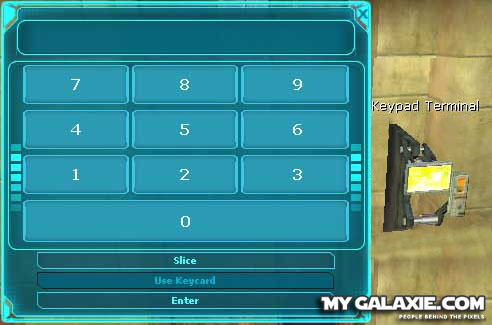 When you select the use option a key pad window pops up. Apparently the code never changes, as long as you remain in the cave you only have to unlock each door one time, the unlocked doors get locked again once you leave the cave. Each member of your group must enter the code to be allowed to pass the door. 7. 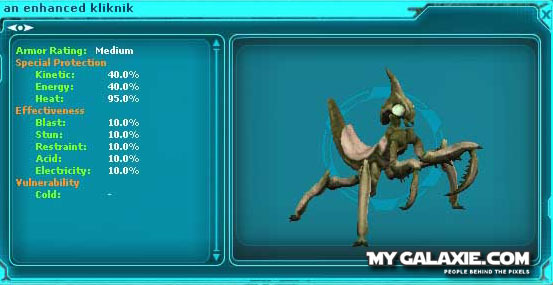 When you enter the room there will be 3 lockers, inside them are the Re-breather (this is a no-drop item when equipped allows you to pass the static gas fume areas) or other various relics. Respawn time on the re-breather is 15 minutes. 8. There is a second security door across the room, enter the security code that was just given to you. 9. Your suppose to go talk to the 3rd Geonosian to get a code for the 3rd security door but that will take you pass 3-4 Enhanced Klikniks (31K HAM) :( If you would like to skip this head straight to the 3rd security door. 10. 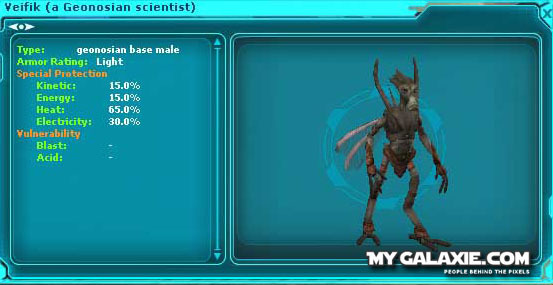 Here a Geonosian Scientist is along with 1-15 Geonosian technical assistants (depends on how many people are in the cave). 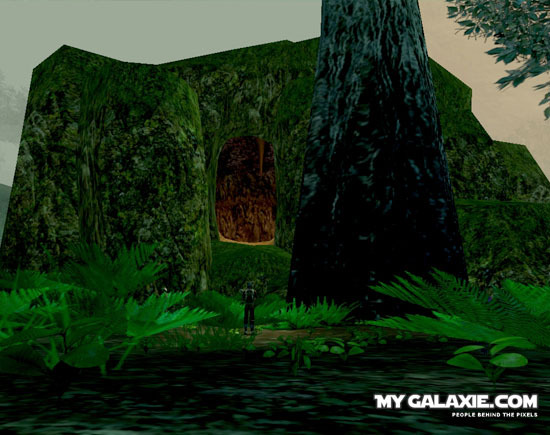 You may be forced to kill the assistants, however the scientist tells you to retrieve something from his assistant lost somewhere deeper in the complex. You need to get to his lost assistant and get an item he needs and return it to him. He will then give you a security key card to unlock the next security door. 12. 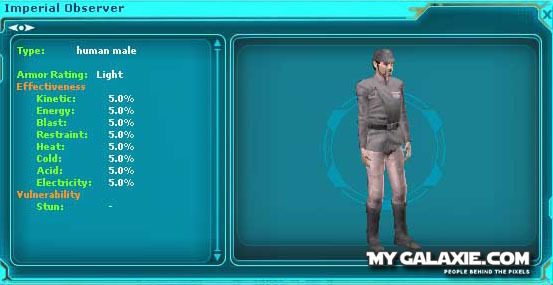 Go find the Lost Assistant and take what he gives you back to the Geonosian Scientist. You have to be quick here cause you will encounter 4-15 Crazed Geonosians (13K HAM fast respawn, Cavern spiders (8K HAM) regular respawn, Alert Droidekas (14K HAM) regular respawn. 13. After everyone in the party has spoken with the assistant, return to the Geonosian Scientist and he will give each party member that talked to the Lost Assistant the Electronic Passkey for the security door. 14. 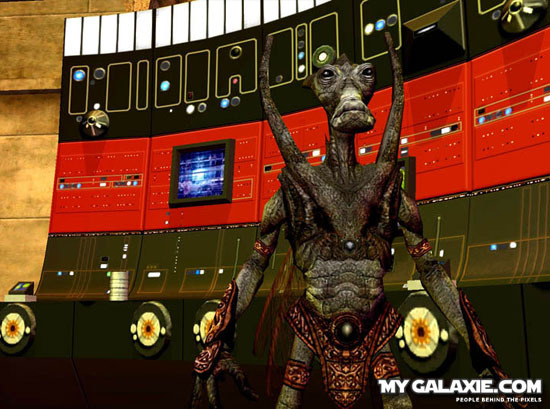 Go to the Passkey door and enter it. 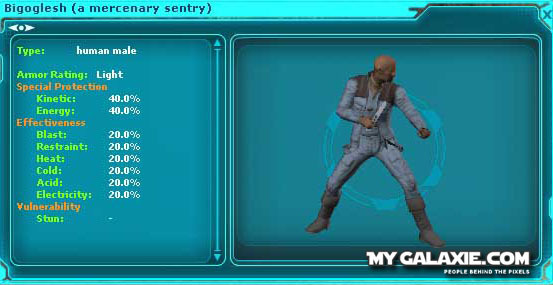 The next room has approximately 15 Mercenaries Sentry in it, and they respawn very quickly. You need to push through fast and immediately head down the hall to the 4th security door. 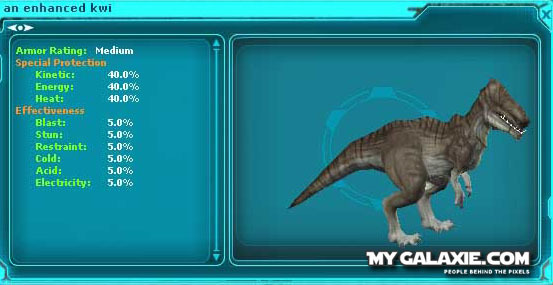 If you want to fight your way past Enhanced Kwi (31K HAM) and Kliknik (31K HAM) who also respawn fast visit Geonosian Scientist 2 or 3. 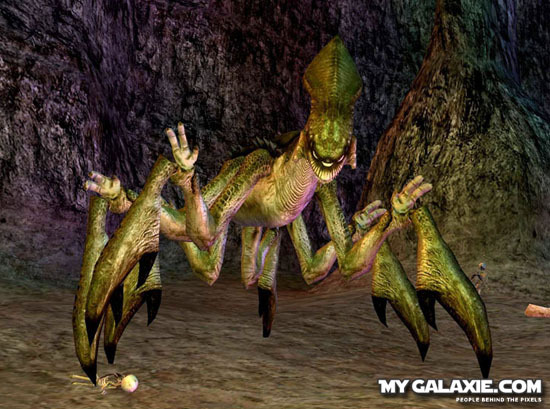 If you remain in one area too long you will be caught between the spawns and all but the most powerful groups will be crushed between the attacks coming from all sides. 15. 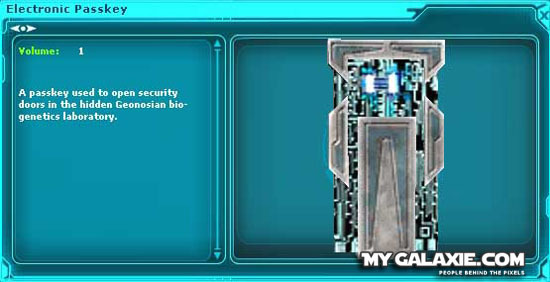 The fifth security door is sealed however the code that you got from Geonosian Scientist 2 will open it. 16. 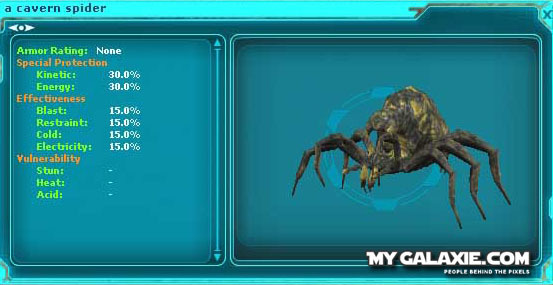 On the upstairs over watch balcony is a Geonosian Scientist which sometimes gives you something, also he gives you the code for the 5th security door, the last security door which leads to the fearsome Acklay (110K HAM, Respawn timer: 2 hours). Another Locker is located next to this NPC. 16. 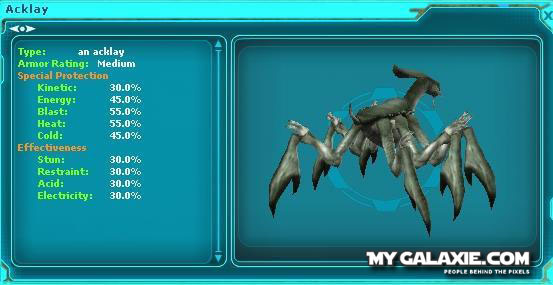 This is the end game cavern of the Acklay, It has medium armor and resists to all types of damage as well as 120K HAM. 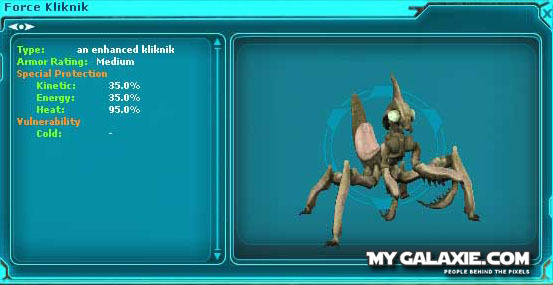 If you play your cards right you can agro the Acklay who will then attack the surrounding Kwi (31K HAM) and Kliknik (31K HAM), giving you some free shots.